Now that&#39;s a Yoshi of a different color! 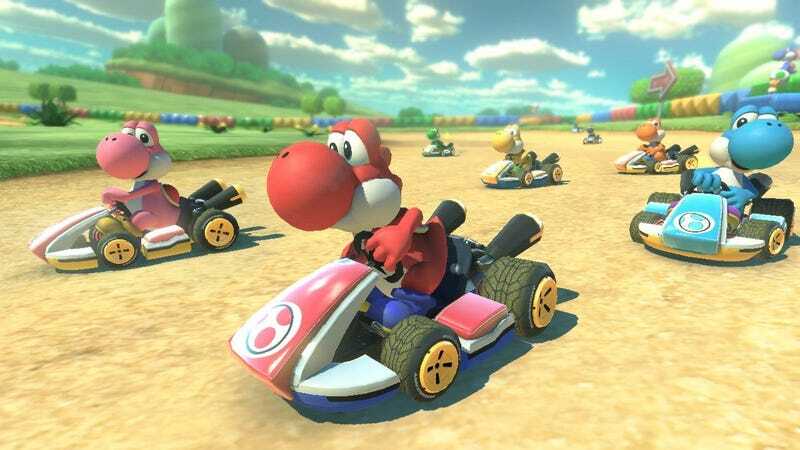 The good news is that this means Mario Kart 8 players will be getting more Yoshi and Shy Guy. You can never have too much of either of those guys, if you ask me. The bad news, however, is that they're only available right now if you preorder the upcoming DLC. I asked Nintendo when they'll become available for those of us who prefer not to invest in pre-orders, and will update this once I hear back.